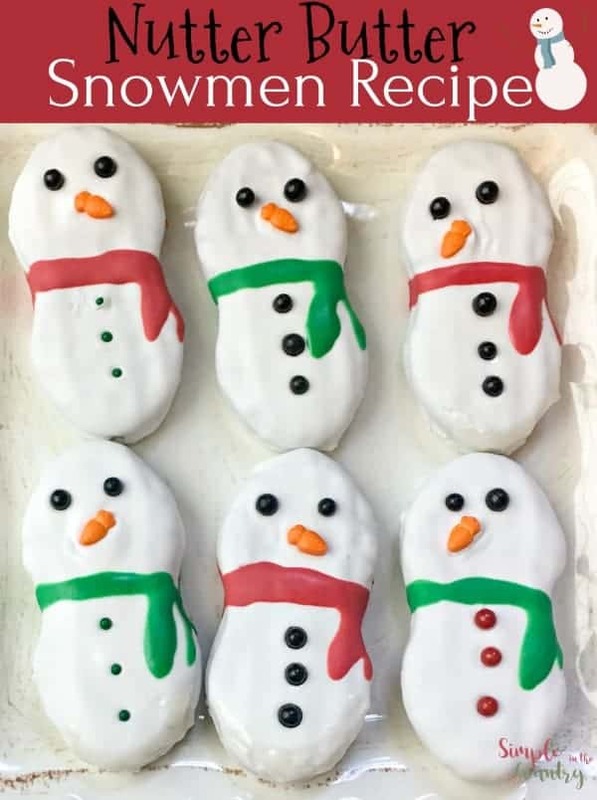 If you are looking for an adorable sweet treat these Nutter Butter Snowman Cookies are just the thing. 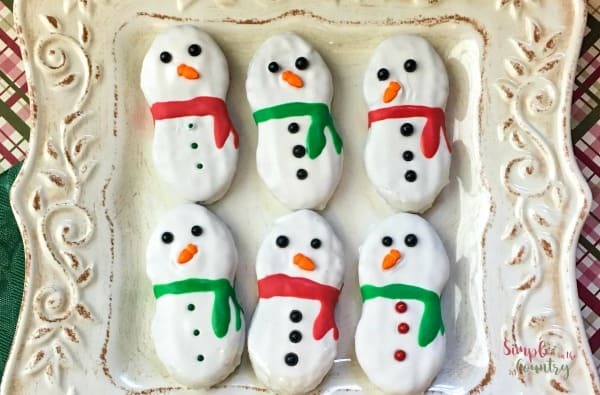 Grab a package of Nutter Butter cookies, icing and the decorations listed below and you can easily whip up this sweet wintery snack that is ALMOST too cute to eat. I love that this recipe is easy enough for the kids to help make yet it looks like you brought it home from the bakery. 2. Dip your Nutter Butter Cookie into the chocolate fully submerging it. 3. Place your chocolate covered butter butter cookie on a parchment lined pan to dry. 4. After your cookie is dry. Add the eyes, nose and buttons on the snowman’s jacket. 5. 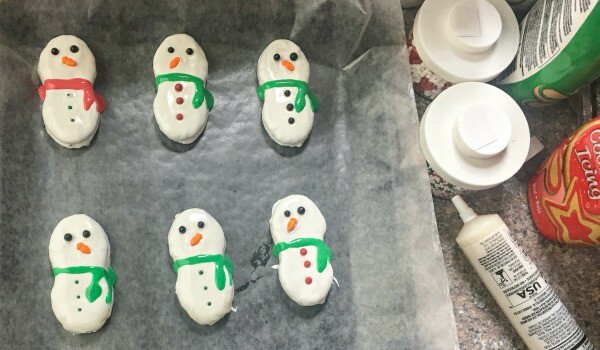 Use the red or green cookie icing to make a scarf around the snowman’s neck. 6. If you have the Sparkle Gel add a layer to the bottom of your cookies. 7. Once your cookie is fully set position them on the cookie platter and serve. 8. Store leftover cookies in an airtight container. 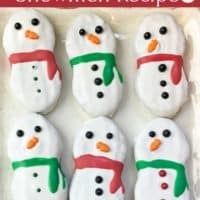 Creating these Nutter Butter Snowman Cookies during a snow day will wow the kids and keep them from driving you crazy begging go play in the snow. 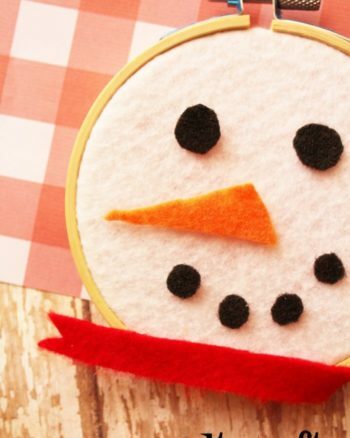 You can even add in this cute Snowman Playdough or maybe create the kids create a Felt Snowman or two. 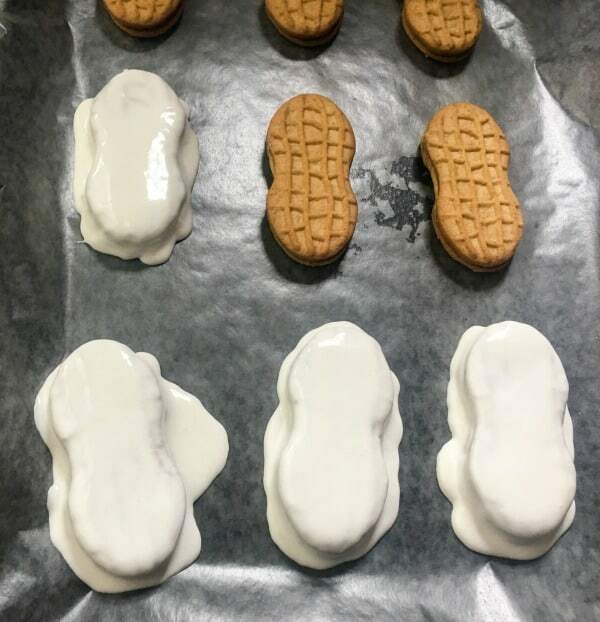 Melt your white chocolate in the microwave according to the chocolate directions. 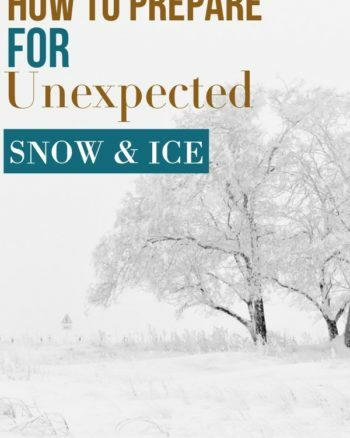 Usually 10-15 seconds at a time until melted. Dip your Nutter Butter Cookie into the chocolate fully submerging it. Place the cookie on a parchment lined pan to dry. Position the eyes, nose and buttons on the snowman’s jacket. 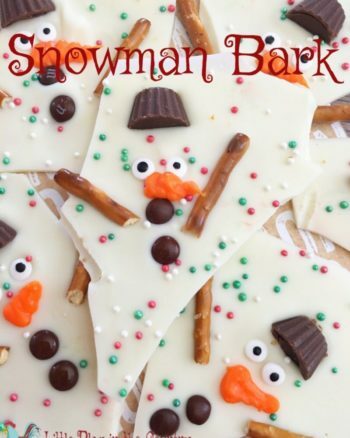 Use the red or green cookie icing to make a scarf around the snowman’s neck. If you have the Sparkle Gel add a layer to the bottom of your cookies. Once your cookie is set position them on the cookie platter and serve. Store leftover cookies in an air tight container.